Esteban Quiroz does not have any MLB stats for the season. Jesus Esteban Quiroz...is the son of Jesus and Maria...has two sisters, Anna and Karen... is nicknamed "Pony"...he and his wife, Melissa, have a son, Esteban Jr... his all-time favorite baseball player is Jose Altuve...as part of the Red Sox Rookie Development Program in January 2018, helped paint murals at the Dimock Center in Roxbury, MA, and visited patients at Boston Children's Hospital. Spent most the season with Portland (AA), including a rehab assignment with the GCL Red Sox (R), playing 32 games with POR and slashing .283/.406/.547 with five 2B, one 3B, seven HR and 31 RBI...His .547 SLG between POR and RSX set a career high in a single season...Hit .299 (26-for-87) with POR, logging five 2B, seven HR, 24 RBI and a 1.011 OPS...his .598 SLG led the team and his .413 OBP ranked third... Between the two clubs, his 3.42 AB/RBI (31 RBI to 106 AB) set a career best in a season...Played 29 games for the Caneros de Los Mochis in the Mexican Pacific Winter League, slashing .256/.409/.511 with six 2B, one 3B, five HR, 17 RBI and 23 BB. Named a Mexican League mid-season All-Star in his 1st season with Yucatan...Hit .293 (84-for-287) with 11 HR and a .428 OBP in 89 games ...Started 80 games at 2B and 3 at 3B. Led Yucatan in BB (64) and OBP (.428) as the club finished with the Sur division's best record (63-42, .600). Had the 2nd-highest BB/SO ratio among qualifying Mexican League hitters (1.56, 64 BB/41 SO). Set career highs in XBH (34) and steals (8-for-10) and matched his career best in doubles (23). Hit .359 with a 1.103 OPS vs. LHP (23-for-64, 7 2B, 3 HR). Homered in 4 straight games from 5/7-11, hitting 2 HR on 5/11 at Campeche...Had 12 RBI in those games. Struck out in only 3 of his final 19 regular season games from 7/11-8/4 (16-for-61, 3 SO, 17 BB). Appeared in 6 postseason games as Yucatan swept Leon in 4 games in the opening round before losing to Puebla in the semifinals, 4 games to 1. Prior to the season, reached base in 8 of 10 PA for Mexico in the World Baseball Classic (4-for-6, 2 HR, 3 BB, 1 HBP, 5 RBI)...Homered in the club's 10-9 loss to Italy and in an 11-9 win over Venezuela. Following the season, hit .264 (52-for-197) with a .388 OBP in 59 games for Mazatlan in the Mexican Pacific Winter League. April 18, 2019 El Paso Chihuahuas placed 2B Esteban Quiroz on the 7-day injured list. January 24, 2019 San Diego Padres invited non-roster 2B Esteban Quiroz to spring training. January 21, 2019 2B Esteban Quiroz assigned to Yaquis de Obregon. November 23, 2018 2B Esteban Quiroz assigned to Caneros de los Mochis. 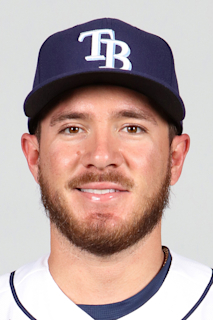 November 20, 2018 San Diego Padres traded RHP Colten Brewer to Boston Red Sox for 2B Esteban Quiroz. September 28, 2018 2B Esteban Quiroz assigned to Mesa Solar Sox. August 24, 2018 Portland Sea Dogs activated 2B Esteban Quiroz from the 7-day disabled list. August 10, 2018 Portland Sea Dogs sent 2B Esteban Quiroz on a rehab assignment to GCL Red Sox. April 30, 2018 Portland Sea Dogs placed 2B Esteban Quiroz on the 7-day disabled list retroactive to April 27, 2018. April 3, 2018 2B Esteban Quiroz assigned to Portland Sea Dogs. January 1, 2018 Venados de Mazatlan placed SS Jesus Quiroz on the reserve list. November 21, 2017 Boston Red Sox selected the contract of 2B Esteban Quiroz from Leones de Yucatan. February 27, 2017 Tigres de Quintana Roo traded 2B Jesus Quiroz to Leones de Yucatan. November 15, 2016 SS Jesus Quiroz assigned to Venados de Mazatlan. July 19, 2016 Tigres de Quintana Roo activated SS Esteban Quiroz. July 5, 2016 Tigres de Quintana Roo placed SS Esteban Quiroz on the reserve list. January 27, 2016 2B Esteban Quiroz assigned to Mexico. October 7, 2015 SS Esteban Quiroz assigned to Venados de Mazatlan. October 7, 2015 Venados de Mazatlan placed SS Esteban Quiroz on the reserve list. April 1, 2015 Tigres de Quintana Roo activated SS Esteban Quiroz. February 6, 2015 Tigres de Quintana Roo placed SS Esteban Quiroz on the reserve list. November 27, 2014 CF Esteban Quiroz assigned to Yaquis de Obregon. July 12, 2014 Tigres de Quintana Roo signed free agent SS Esteban Quiroz. July 12, 2013 Tigres de Quintana Roo placed OF Esteban Quiroz on the reserve list. May 27, 2013 OF Esteban Quiroz assigned to Tigres de Quintana Roo. May 24, 2011 Tigres de Quintana Roo signed 3B Esteban Quiroz.